Where has the last piece got to? It must be around here somewhere…and why is Hartley the dog looking so sheepish? 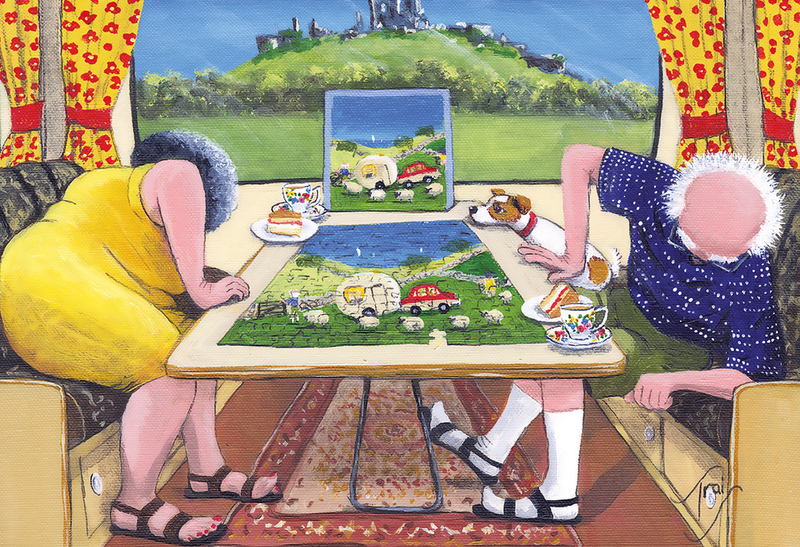 This hilarious jigsaw portrays the situation we've all been in, when you're sure you've seen that piece somewhere! Beautifully painted by artist Trai Hiscock. Trai Hiscock lives and works in Dorset but has lived all over the world, including Russia and Mexico. Her humorous scenes capture the hilarity of everyday life that are bound to make you smile.